The M.P.R.I. team sets out on an epic journey in Yazoo Mississippi to see if the legend of the Yazoo Witch is real or fake. 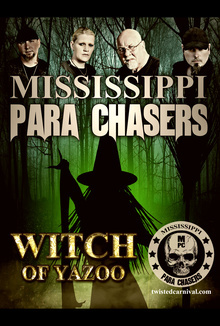 Follow them as they follow the legend of the most powerful witch in Mississippi on Mississippi Para Chasers.